5 yr./ 60000 mi. 3 yr./ 36000 mi. Without question, the Honda Accord is one of the best-selling and most critically acclaimed nameplates in automobile history. Combining reliability, efficiency, and practicality, the Accord is arguably the midsize sedan to measure against, with the distinction of making it to the Car and Driver 10Best list an unprecedented 30 times. However, over the past few years, other midsize sedans have garnered attention as worthy competitors. Among the most notable ones is the Kia Optima, which eschews the traditionally safe aesthetics of midsize sedans for a sportier, more exciting approach. By the 2017 model year, the Optima had done enough to be placed at the upper half of this highly competitive segment. And to a certain degree, it is a more understandable choice than the stalwart that is the Honda Accord. City Fuel Economy * Among the five variants available on the 2017 Kia Optima is the LX 1.6T. It is unique in that it is the only trim to have the following components: the Gamma G4FJ, which is a 1.6-liter turbocharged inline 4-cylinder (I4) engine (thus the “1.6T” designation); and a 7-speed dual-clutch transmission, which gives you the choice of controlling the gear shifting with two clutches or letting the computer do all the work. This distinctive powertrain configuration provides a peak fuel economy of 28 mpg in the city and 36 mpg on the highway. On the Accord, the more efficient of the two engine choices—a 2.4-liter I4—is larger than the Optima’s 1.6T. Joined with a 6-speed manual transmission, the Accord engine can match the highway fuel economy numbers of the Optima. However, it falls one mpg short in the city. Headlights Both the 2017 Kia Optima and the 2017 Honda Accord have great safety ratings from the Insurance Institute for Highway Safety (IIHS). It named each ride a “Top Safety Pick Plus” vehicle, which is the highest safety recognition from the organization. That’s because the Optima and Accord scored the best possible rating (“Good”) on all the IIHS crashworthiness tests; also scored the best possible rating (“Superior”) in the Crash Avoidance & Mitigation test, which measures effectiveness in front crash prevention; and got no lower than an “Acceptable” rating in the effectiveness of their headlight illumination. However, what separates the two midsize sedans is the headlight category. While the Optima scores the best possible rating, at “Good,” the Accord has an “Acceptable” rating, which is a notch lower. Cabin Quality More so than the 2017 Honda Accord, critics give praise to the quality of the 2017 Optima’s cabin. For a vehicle of its class, the cabin feels borderline premium. The dashboard is often described as stylish, with soft-touch materials that includes plastics that don’t look or feel cheap. Ready to test-drive the 2017 Kia Optima, rather than the 2017 Honda Accord? You’re more than welcome to visit us at our dealership in Woodstock, Georgia. With an A rating from the Better Business Bureau and overall sterling reviews at online platforms like Google and Facebook, we pride ourselves on making sure that every customer enjoys his or her experience at our dealership. 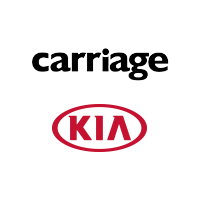 Call us today to schedule an appointment with one of our Kia experts. * Based on EPA estimates. Actual mileage will vary with options, driving conditions, driving habits and your vehicle’s condition.